A postscript to the series! War in defence of national life is not immoral, and war in defence of independence is an inevitable part of the discipline of nations. Surely, lecturing the British on wars in defense of nation and independence was unnecessary, but Seward clearly enjoyed taking the opportunity to remind the British that the United States intended to win its war against seceding forces. The following year, Seward warned the Spanish, French, and British against sniffing around to take control of Mexico as a way to reestablish their influence in the Western Hemisphere. 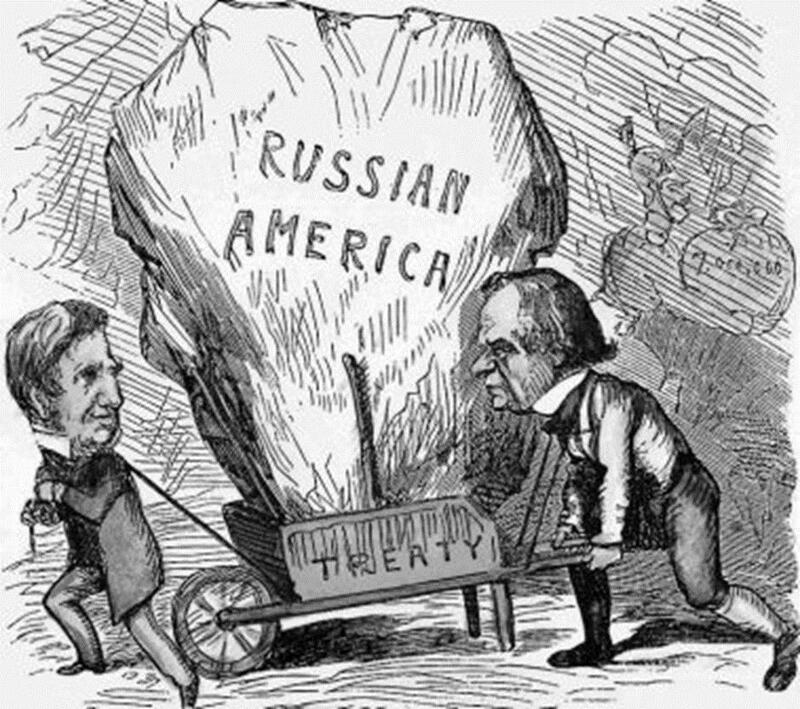 “The emancipation of this continent from European control,” Seward reminded them, “has been the principal feature in its history during the last century. It is not probable that a revolution in a contrary direction would be successful…” He cited the growing population, resources, and political system of the United States as reasons why European intrusion into the hemisphere would fail. This was an interesting tactic considering that all three of those things (population, resources, and democracy) were at that point under grave threat. Documents related to Seward’s term as Secretary of State brought forth fantastic discussion and debate in my classroom last semester. The students found Seward humorous, strong-willed, and compelling. We compared his approaches in various primary sources and talked about the ways that he contributed to European response to the war. Students are used to the focus being on Lincoln and the generals; they genuinely enjoyed contemplating the role of someone like Seward, whose personality was vibrant and whose writing was forceful. Unlike Lincoln, who can be vague at times and open to interpretation, Seward’s directives were clear and visceral and the students appreciated that. I think in the future I will include Seward even more in my narrative of the war, as he really is the key to helping students understand the truly international aspects of the conflict. This entry was posted in Civilian, Personalities, Politics and tagged Abraham Lincoln, Alaska, Civil War diplomacy, favorite17, Great Britain, Lincoln's Cabinet, Mexico, secretary of state, William Seward. Bookmark the permalink. I would be interested in an ECW article on the international aspects of the CW and this author would do a fine job, I am sure. I would be happy to do that! It is worth mentioning that we owe Seward’s last four years of service to his country (to March 4, 1869) to his daughter Fanny. It was she, then only 20 years old, who interposed herself between the would-be assassin Lewis Powell (aka Lewis Payne and many other aliases) and her bed-ridden father on the night of April 14, 1865. Powell had already rained knife-blows upon her father, who was saved by an appliance or a framework back rest he was wearing because of a recent carriage accident, and had effectively neutralized the Secretary’s sons Frederick and Augustus, in addition to the army nurse, Sergeant George Robinson. He was moving upon the Secretary for the kill, with only Fanny in the way. According to one report, “Payne afterward said that if he could have made up his mind to strike (Fanny) out of his way, he could have accomplished his purpose upon the Secretary, but that her face between his weapon and her father disarmed him; he had not the heart to take her life also.” (“Death of Miss Seward,” Obituary, Baltimore Sun, October 31, 1866) A latent drop of humanity in the otherwise “terrible Lewis Powell” saved Seward and saved Fanny too, though, tragically, she would die the following year of tuberculosis, a fate undoubtedly hastened by the trauma of that night of horrors, as was the death of her mother, Frances, who died of a heart attack only nine weeks after the attack on her husband.